Germany star Mesut Ozil has confirmed he is retiring from international football with immediate effect.Ozil was criticized by the German Football Federation (DFB) after meeting Turkey president Recep Tayyip Erdogan before the World Cup. 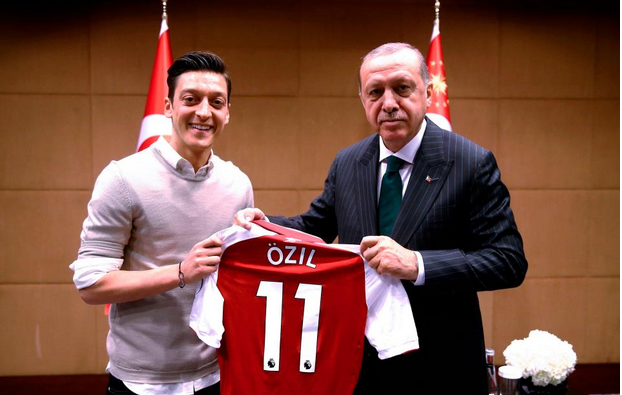 The Arsenal star, who has Turkish heritage, explained on Sunday his meeting with controversial figure Erdogan “had no political intentions”. 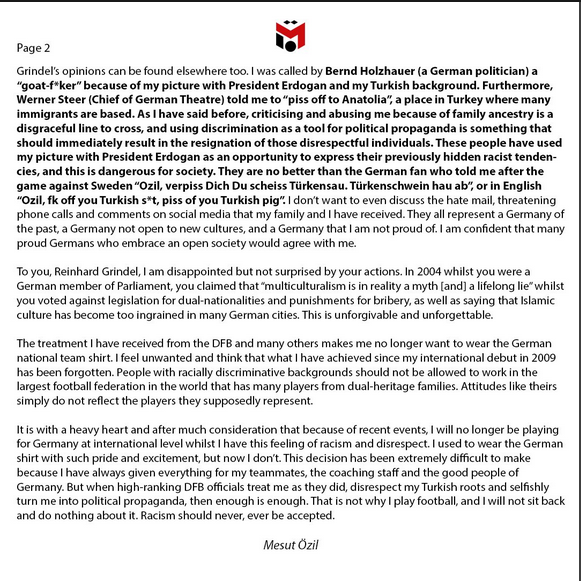 In the second part of a three-part statement, Ozil hit out at the DFB over its handling of the incident, suggesting the Erdogan meeting has been cited unfairly as a factor in Germany’s group-stage exit at Russia 2018. 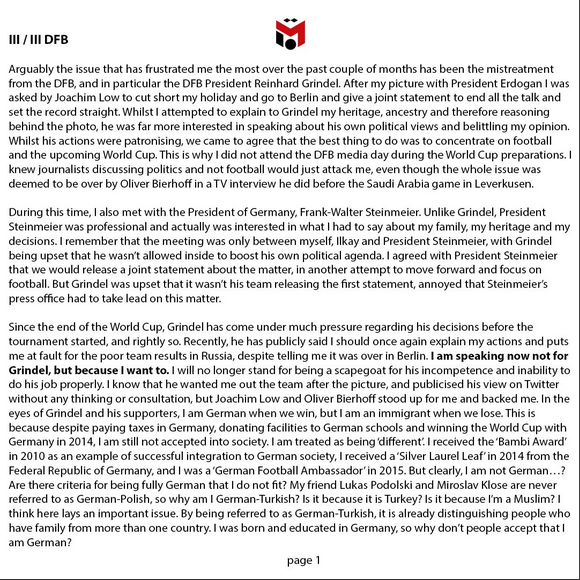 And in the concluding section of the statement on Sunday, Ozil confirmed he will no longer be available for selection by Germany coach Joachim Low. Ozil has won 92 caps for his country, scoring 23 goals and playing a key role as Germany won the 2014 World Cup in Brazil.